One of the best things about being a dog lifestyle blogger is the chance to discover and share awesome new products with y'all. 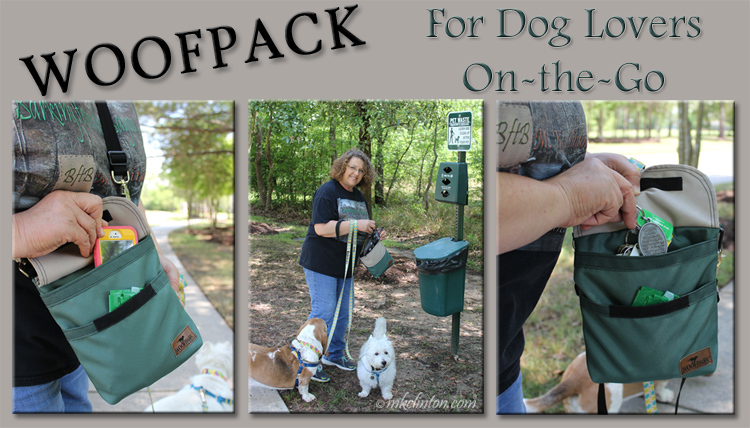 My new favorite must-have is the WoofPack™ Dog Walking Accessory Bag. It checks every box for a pet parent on the go! I received a WoofPack Dog Accessory Bag in exchange for an honest review. All opinions are my own and WoofPack is not responsible for the contents of this article. 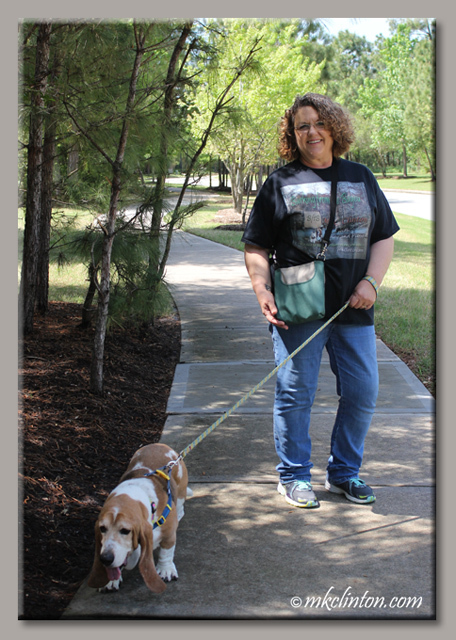 This handy bag is the brainchild of Lisa Bast who wanted to enjoy hands-free walks with her Goldendoodle Micah. I can identify with the “too many things to carry and not enough pockets for all of it” when we take the Bayou Boys out for their walks. Lisa also wanted to encourage others to pick up after their dogs. This bag makes it easy to tote everything including your poop bags and stash the used ones until you can dispose of them properly. What makes the WoofPack Special? • Inner antimicrobial lining that helps neutralize odor from bagged doggy doo. WoofPack is available in black/camo, red/taupe, black/taupe and the green/tan combo that I have. It was difficult to choose because they all look terrific. This bag is lightweight and easy to carry. 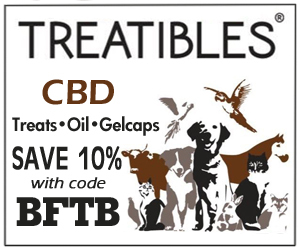 It is so nice not to have my pockets full of keys, treats, wipes, and a cell phone or my leash loaded down with accessories hanging off and getting in the way. I began walking with it over my shoulder like a purse but discovered it would slip when I bent over to pick up poop. Putting it over my head and across my body was perfect. 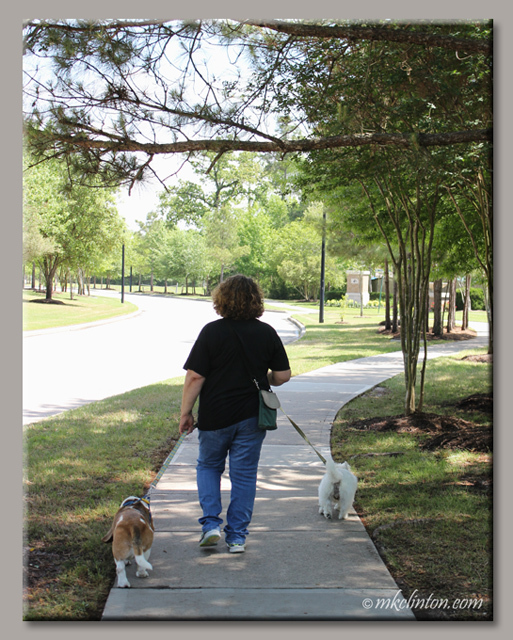 It is comfortable and seriously carries everything you could need for a walk. Just toss in your keys, collapsible water bowl, water bottle, wipes, first aid supplies, treats, and cell phone. 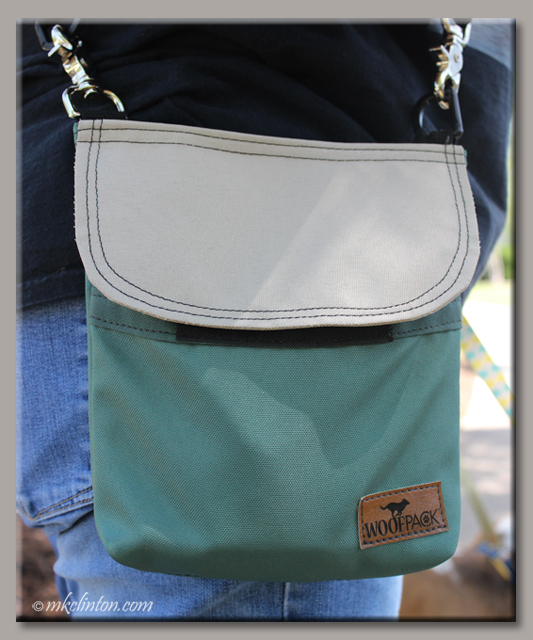 WoofPack is 8.5” long, 8” wide and 2” deep with a 3 ¼’ strap. There is plenty of room for all your stuff and your dog's business! I love my WoofPack. They have only been on the market for 8 months but should quickly become THE must-have bag of dog parents everywhere! We are proud to be barking their praises. Order your bag today for $29.97! Follow WoofPack on Facebook, Twitter (Micah & Marley), and Instagram (MicahDood). You're going to love them. Join us for the Easter Pet Parade Social Media Blog Hop! It’s a great way to gain followers and friends. 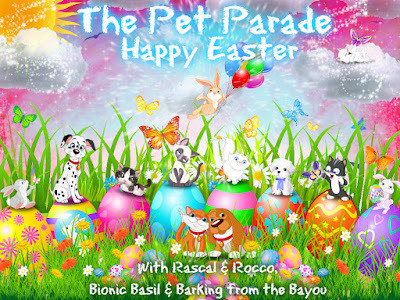 Rascal & Rocco, Bionic Basil's Blog and I would love the have you join the fun! It is terrific! I cram all of my stuff and the boys' stuff in mine. BOL! It's very nice and looks very useful. Mom wants to know if her point and shoot camera will fit inside too? If it is not ginormous. It is two inches wide but will hold a good bit of stuff. 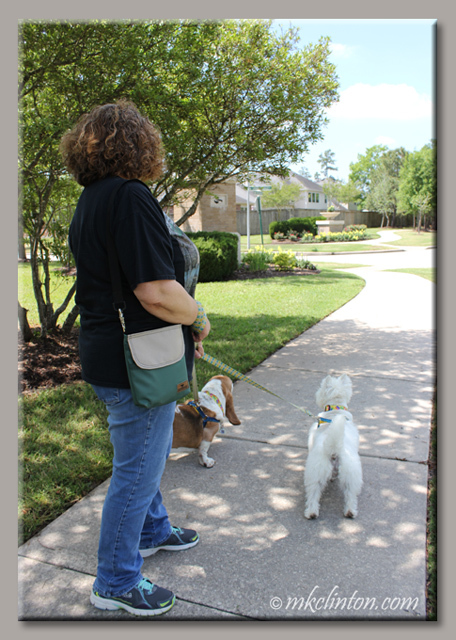 By the time we made it to a pet waste station I had 4 bags of poop! Looks like a nice bag if you need to carry a lot of stuff. Happy Easter weekend. May wabbits abound in your yard! Could ya'll be any cuter??? Awww, thanks! Don't the trails look lovely? There are gorgeous flower gardens everywhere. That is one good looking and practical walking bag! Brilliant. Have a happy Easter weekend. I am crazy about it. I HATE carrying all my stuff in my pockets and if I wear pants without pockets...UGH!! It is great to have for walks. I carry so much stuff with me including my blog business cards because you just never know. LOL! Wow! That looks like the perfect thing for dog walking in style! YES! It is the answer to walking woes. I love it. and it is adorable too! Thank you so much! We are at the decorating the walls and hanging pictures so it really is feeling like our home sweet home. Happy Easter. What a great bag! Functional...and it looks good too! Thanks! It really is very stylish and holds all my essentials for a great walk. I'll be walking Luke more now, and need to find a bag that will work for everything I need to carry. This one looks like a strong possibility! Looks like a terrific bag Melissa! Did you realize that Duke has disappeared in one of the photos?? BOL! Hope you and your family have a wonderful Easter! I know you will...with your grandaughter living close now! Hoppy Easter to you guys! This is definitely a really nice bag! It looks good on you too.